We love the sense of renewal that spring brings and how that translates to lightening up your interior spaces. And, since we’re also keen on a good cheat sheet, we thought why not write a blog about quick and easy ways to get full-on spring ready. Our talented network of top designers weighed in on some of their favorite pro tips for refreshing your home for spring! Elite Designer Jennifer Stewart is a big proponent of changing out wall art from season to season. When the spring countdown starts, she likes to hang bright happy photos and vibrant abstract art. Jennifer also suggests adding mirrors, which does wonders for brightening a space. Even smaller mirrors do the trip, especially when you curate a “gallery wall” of mirrors in contrasting shapes and sizes. 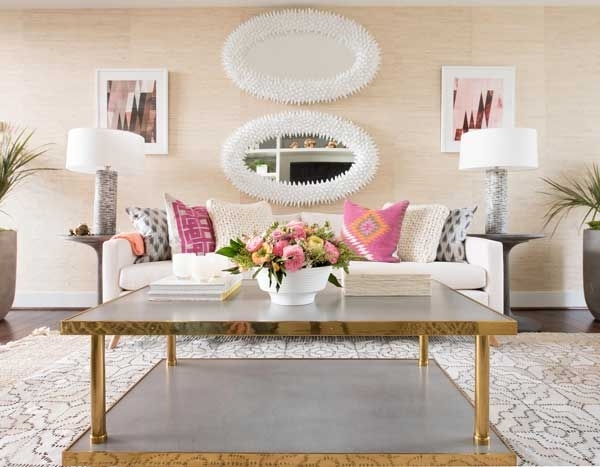 According to Elite Designer Ashley Jenkins, spring is the time to lighten up everywhere. She likes to help clients go from room to room and edit their space by replacing pillows, throws and area rugs, duvet covers (you name it!) with lighter weight options in linen and cotton. Crisp white and lighter colors are key. 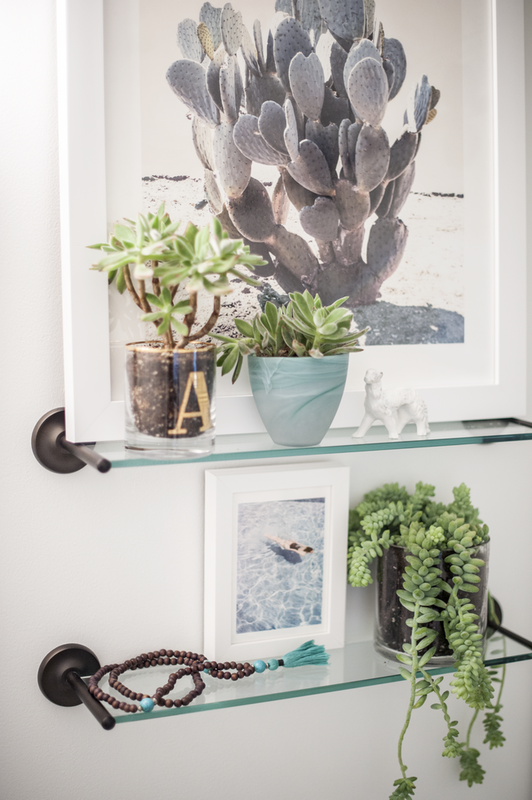 Not only do plants pump more oxygen into your home, they generally make a space look cared for and well lived. When it starts warming up, we like to bring even more of the outdoors in and play around with more tropical and subtropical varieties like Sago palms and large-leaf banana trees. Make sure your planters and pots are as pretty as the plants. Elite Designer Jill Kalman is a pro when it comes to the art of fresh cut flowers. Whether it’s a monochromatic centerpiece or a handful of spring buds placed on a stack of coffee table books, she encourages her clients to keep fresh flowers in rotation. She suggests opting for flowers that peak in spring like long-lasting ranunculus. We admit, this tip is pretty standard fare when it comes to sprucing your space in preparation for spring, but we tend to take spring cleaning a step further by putting the emphasis on decluttering. Take a critical eye to counters, tabletops and shelves, and remove anything that feels excessive or that’s simply being stored as opposed to displayed. Trust us, it’s therapeutic and makes a huge difference. 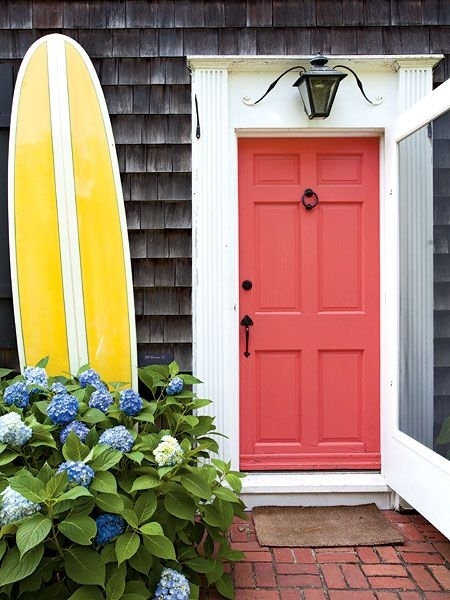 Make a bold statement with a newly painted front door in a unexpected color that borders on electric. Our faves for the season are glossy citron, fuchsia and bright watermelon. Don’t be shy, the brighter the better. Add colorful throw pillows throughout you’re your home. Whether in the living room, breakfast nook or bedroom, swap out dark and muted winter hues for brights, florals and nautical-inspired designs. 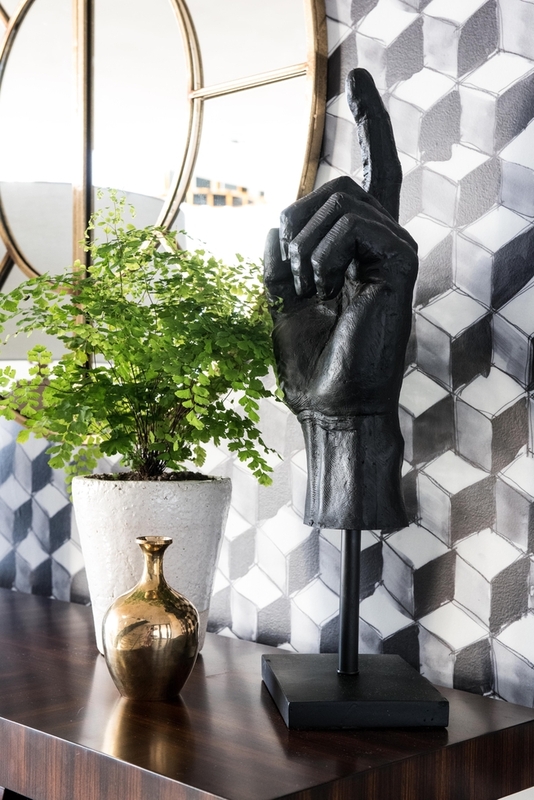 Consider using temporary peel-and-stick wallpaper to create a designer accent wall. Since temporary wallpaper is easy to remove, go ahead and choose a print or color that you might ordinarily shy away from. Botanicals and bold graphic prints are exciting spring options. Give your dining table a makeover with a total table setting revamp. Replace placemats, stemware, flatware, centerpieces…you name it…with lighter colors and lighter weight options. It’s a small change that can have a big impact. Put away the mohair and merino throws and add lighter cotton throws on your sofa or chaise. It’s still nice to have something cozy to wrap up in when you’re reading and winding down, and a throw offers texture and help tie a color palette together. Get your outdoor seating area ready for a lot more traffic. 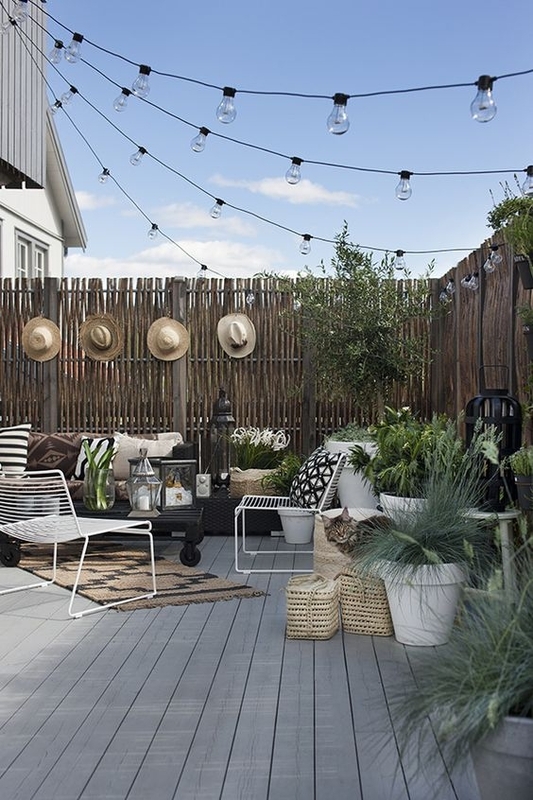 An outdoor area rug is a great opportunity to add color and texture and transform a patio into an outdoor living room. Give your kitchen and bathroom a quick and easy color makeover with new hand towels in lighter, sunnier colors. Like changing throw pillows, it’s one of most affordable ways to refresh a room and it really makes a difference. Consider an outdoor fireplace or masonry fire pit to make the most of summer entertaining and extend your outdoor time into the evening and into the cooler fall months. Refresh your outdoor space with colorful throw pillows in contrasting colors and graphics. Opt for brights, florals and nautical-inspired designs in weather-resistant fabric. Let more light in by replacing dark and heavy drapes with lightweight sheer alternatives. A crisp white always looks chic and lets in the truest, most flattering light. Breathe new life into an upholstered chair, shelving unit or armoire by giving it an update. Think glossy lacquered paint in a citrus shade and lightweight fabrics with a nautical, tropical or beachy motif. Careful, this could become your next big obsession!